Quick poll here guys; so gloves up, how many of you are sick and tired of filling your shopping carts with hefty and expensive cleaning products? But don’t worry, you can clearly see from the millions of gloves up that you’re not alone. Now, you may be wondering what one earth will get those stubborn stains out of your house, clothes, car and pretty much everything else. I mean, isn’t that why we have strong, concentrated detergents and what not? Well, I’m here today to help you ditch all those expensive cleaners and actually save money on healthier cleaning products, methods, and insider techniques. Whether it’s that stubborn ink mark on the wall, a persistent stain in your upholstery or a nasty spill on your plush carpets that just won’t come off for anything, there are hundreds of affordable and effective house cleaning remedies just waiting to be discovered. Lucky for you, I’ve done all the grunt work and found everything there was to find about natural and cheap ways to clean virtually everything. It’s all here in this in-depth, comprehensive guide to the best home remedies for cleaning. And it all starts with mother nature’s very own essential oils. Why Should You Use Essential Oils vs Commercial Cleaners? Commercial cleaners; we all have these heavy-duty products that purportedly make everything clean and shiny. Sure, they may eliminate most of the dirt, germs, and stains around the house, but there’s one crucial factor that everyone seems to ignore. These commercial cleaners are literally loaded with toxic chemicals and an entire host of hazardous ingredients. In fact, some of these chemicals are so harsh that you have to wear gloves to handle them. And one splash of the cleaners in your mouth or eyes and it’s straight to the ER for immediate medical attention. Essential oil based cleaners, on the other hand, are a whole different ball game. These oils are just natural extracts from plants such as trees, shrubs, grasses, herbs, and flowers. C’mon, does anything there sound potentially harmful or dangerous? And unlike many artificial chemicals in commercial cleaners that accumulate in the environment and our bodies too, the very plant nature of essential oil cleaners ensure that they naturally break down after a while. This is a huge bonus for anyone concerned with environmental conservation. Another unsung benefit of ditching those commercial cleaners and using essential oils instead is that you get naturally nice smelling results. Sure, they may not smell as nice as some commercial brands, but how on earth do you think that an overused bathroom could smell like an amazon rain forest or fresh strawberries? That’s them chemicals swindling the crap out of your olfactory senses. That sweet smell in factory cooked cleaners comes from a plethora of toxic chemicals and fake additives that mask the product’s true intention of massacring everything in its wake. The great thing with essential oils is that when extracted and concentrated, they can purify, disinfect and remove stains from surfaces without needing the help of toxic chemicals and harmful ingredients. Studies have already proven without a doubt the antibacterial and microbial properties of essential oils; it’s time you also learned how to take advantage of nature’s very own gift to mankind. But before you take advantage of anything, wouldn’t it make more sense if you knew your cleaning essential oils by heart? You guessed it; I’ve got all that covered too. Now that we’ve established that essential oils are one of the best-smelling, naturally antibacterial options for all homemade cleaning recipes, it’s time to single out the most effective ones. All you have to do is add a dash of your preferred essential oil to your laundry routine or use them to sanitize your kitchen, gym, or eliminate some tough grime in the bathroom. And all this while making your house smell positively clean without the need of harsh chemicals. If you’re wondering just where to start, how about by identifying what essential oils actually clean? I’ve compiled an exhaustive list of the best essential oils for all your cleaning and hygiene needs below. Made by cold pressing the rinds off of fresh lemons, lemon essential oil smells intoxicatingly inviting, like a fresh, ripe lemons. This tiny bitter fruit produces one of the strongest powerhouse oils for hundreds of cleaning recipes. Due to being a bactericide with antiseptic and antimicrobial properties, lemon oil is the ideal for cutting down stubborn stains. It’s also great at cutting through dirt, grease, and grime. All you culinary green cleaning types might enjoy mixing lemon with herbaceous essential oils for even more effectiveness. And thanks to its strong smell, it really freshens the air in your home and kills any bad odors. But that’s not all that citrus lemon essential oil has to offer. If you’re feeling down, this particular oil has been shown to actually enhance people’s moods for the better. Extracted from the Australian Melaleuca tree, Tea Tree essential oil is another incredibly popular oil used for a wide range of applications. 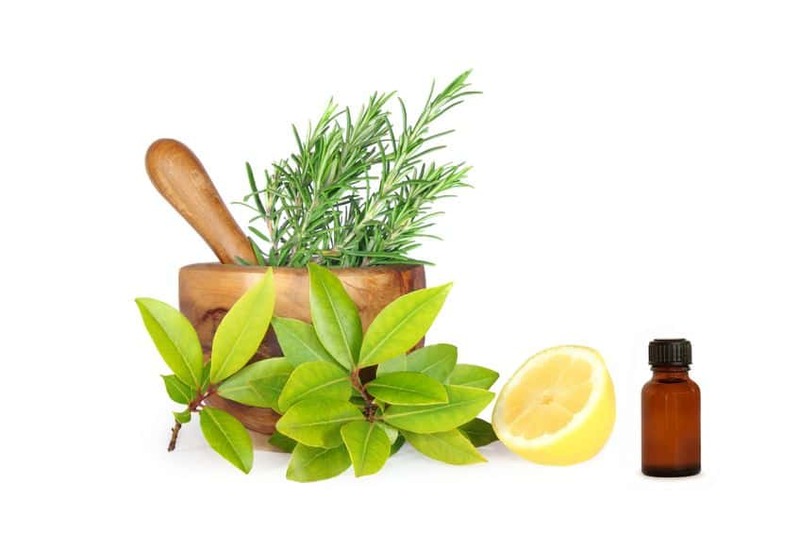 Apart from lemon essential oil, Tea Tree is probably the most well-known, widely used essential oil for cleaning. Thanks to Tea Tree’s interesting antiseptic, antifungal, insecticide and antibacterial properties, it is hands down the best candidate for disinfecting regular household surfaces. This particular oil stands out due to its very distinct scent that has an almost medicinal quality to it. Anyone ever tried the original wild-crafted Australian version? On a side note, tea tree oil comes highly recommended for stimulating the immune system as well as in the treatment of respiratory conditions, such as allergies, asthma, sinusitis, and even whooping cough. So if you feel like you’re coming down with something, grab the tea tree oil and start cleaning. Here’s another essential oil with quite a unique application. When you need a refreshing, uplifting clean, nothing hits the spot better than orange essential oils. Orange oil has been proven to have some antibacterial and antifungal properties that not only make it ideal for cleaning, but also for de-greasing certain surfaces too. Other studies show that the oil actually inhibits the growth of E. Coli and Salmonella during the refrigeration process of beef. As such, orange essential oil would definitely be good for cleaning up those cutting boards and countertops where raw meat has been worked on. The orange also works great in aromatherapy since it helps alleviate anxiety, depression, nervousness, and insomnia as well. Arguably one of the best-smelling naturally antibacterial essential oils on my entire list today, Lavender is antifungal, antibacterial, antimicrobial and antiseptic and is well known for its cohesive properties that lends itself well to blending with many other essential oils. When it comes to cleaning, this nifty little oil was made just for the job. In fact, the name Lavender itself is actually derived from the Latin word “lavare” that when loosely translated means “to wash”. It’s invitingly sweet scent also gives its mood enhancing characteristics as well. Although you won’t need Bulgarian lavender for cleaning purposes, you’ll still find lavender as an active ingredient in most dish soaps and laundry detergents. Eucalyptus essential oil is another incredibly versatile substance that has been used for numerous medicinal purposes over the millennia. Thanks to its antifungal, antibacterial and antiseptic properties, it’s made it on my list of the best oils for cleaning. But that’s not all; eucalyptus essential oil also contains a strong germicide that is quite the powerful dust mite buster. In addition to offering a surface cleaning solution, it is a great home cleanser that soothes and relaxes with its distinct, penetrating woody smell. For those of you who are already familiar with the plant, you don’t need to be told twice just how many uses this humble creation offers. With its refreshingly strong minty scent, powerful antibacterial, antiviral and antifungal properties, peppermint essential oil is more than a perfect complement to homemade cleaning products. 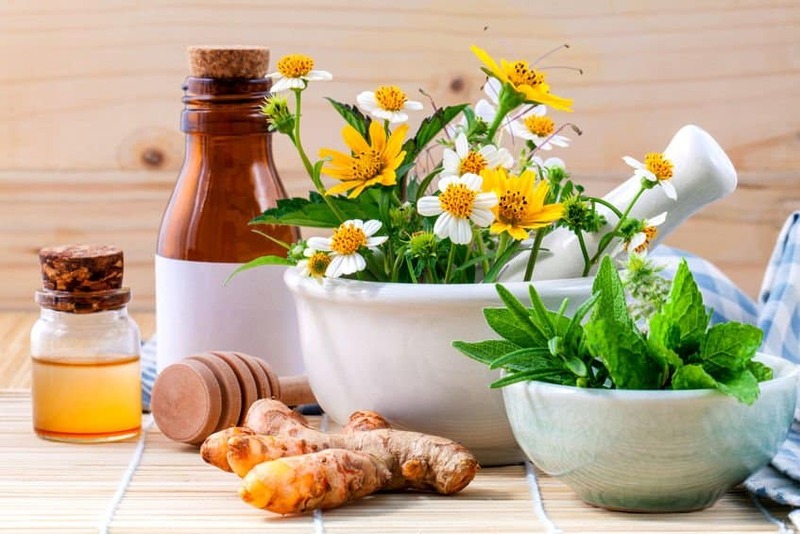 But get this: peppermint is also one of the few essential oils that resist particular dangerous bacteria strains such as E. Coli, staph infection, salmonella among others. On a side note, peppermint can also be used as an air freshener to deter ants, spiders, and other insects. You definitely don’t see this one pointed out as a top oil for cleaning. However, I think it deserves a spot here. Whether you can pronounce it or not, Ylang Ylang works great as a cleaning oil thanks to its antiseptic, antifungal and antibacterial qualities. And that’s not even half of it. Due to its incredibly calming and breathtaking tropical scent, Ylang Ylang works great as an addition to your diffuser oils. There’s no ignoring it; the internet is chock full of DIY essential oil cleaner recipes. From ones that let you know how to treat your kitchen countertops to others that promise to make your bathroom floors so clean you could eat off of them. But how exactly do you know which ones work and which ones don’t? In an effort to cut straight through the hype, I’ve compiled a list of tried and tested recipes that I have experimented with over the years. They will leave different parts of your home looking clean and smelling great. Mix all the ingredients thoroughly and pour the contents into a 16 oz. glass spray bottle. Shake well before use and spray on all those areas you want cleaned such as the shower, bathtub, toilet bowl, and walls. Second to the bathroom, the kitchen is probably the most contaminated and outright filthiest room in your entire house. From the virus laden sinks to the bacteria covered counter tops, something definitely needs to be done. Being the place where your food is prepared, the last thing you want to do is use harsh, toxic chemicals on the counters, dishes, plates, and cups. Add all ingredients in a 16 oz. glass spray bottle. Shake well before use and spray on the kitchen benchtop. If you want to make a scrub, simply add 1 tsp Dr. Bronner’s Sal Suds to 1 tsp baking soda on a sponge. Since you don’t poop or cook in your bedroom (at least not all the time), then it’s safe to say that your sleeping area is relatively clean. However, this doesn’t mean that it’s 100 percent free from dirt. Bedrooms often contain dust, mites and other airborne microbes that make linens and bedding smell musty. To keep your bedroom clean and smelling fresh, wash all beddings with your choice of essential oils (my favorite is organic lemon) and a little white vinegar to keep the fabric soft. Also consider making an essential oil spray for your mattress, sheets, etc. for those airborne antimicrobials. Essential oils such as eucalyptus, lavender, rosemary, tea tree and rosemary are all great options. Just add 15 drops of essential oils to 2 tsp vodka or rubbing alcohol in an 8 oz. spray bottle and fill the rest with warm water and spray liberally on your beddings. If you have a ton of wood antiques, furniture, and plush upholstery, then you know just how important regular cleaning and maintenance is. Leaving the furniture untouched for even a few days can quickly lead to a buildup of dust which can be embarrassing. To dust and clean your furniture, wood, and upholstery, you can make the following essential oil recipe. Mix the above ingredients in a bowl and use a soft cloth to wipe / clean all surfaces as necessary. You can never be really too careful when dealing with children toys. It’s always a safe bet that they will end up in a kids mouth at one point or another; that’s why you can’t clean them with toxic commercial cleaners. Combine all the above ingredients thoroughly and pour into a large 32 oz. glass spray bottle. Use this solution to spray down all gym equipment, carpets, and any other gear immediately after use and allow it to dry completely. We can’t let essential oils take all the glory, now can we? While these oils are as important as they sound, not everyone has a steady supply of them just lying around (admit it, some of you don’t even know what these oils look like). And if that’s the case, then you’ll need other cleaning products found right in your home. Like most people, I’m going to go ahead and assume you want good cleaning solutions and you want them quick, right? Don’t even worry your pretty little head about it. As always, I’ve done all the grunt work and tried and tested some of the best DIY home remedies for cleaning virtually anything. So sit back, relax, put your feet up and read some more – but don’t laze around for too long; we’ve got cleaning to do. While most of you may already have this plant based soap lying around the house, high chances are that you’ve barely scratched the surface on this one. We already know the soap works great when it comes to loosening dirt and grime without harming your surfaces, but why stop there? By mixing castile soap with some hot water, you can gently but effectively clean out your car’s exterior, floors, marble countertops, vent hoods, stove tops, showers, sinks, tubs and even ceramic tiles. Hey, I said we were done with essential oils, but nobody said nothing about all the other oils. Personally, I never understood why cooking oils are not classified as essential. I mean, they’re pretty essential to the success of any meal if you ask me. Jokes aside, plant and vegetable based cooking oils actually diminish scratches, dissolve dirt and iron out certain imperfections in surfaces such as hydrate wood. You can make a scrubbing paste using cooking oil and coarse salt to combat grime and debris in cast iron pots. Similarly, you could apply a small amount of olive or almond oil on a soft cloth and use it to remove scuff marks of your leather shoes and boots. Vegetable cooking oil also works magic on the old wicker, wood and rattan furniture. So next time you spot some burnt out wooden antiques, know that you have a friend in cooking oil. We’ve come across plenty of cleaning recipes in this article alone that use vinegar as the main ingredient. That’s all thanks to vinegar’s innate ability to wipe out tarnish, mineral deposits, soap scum, grime and an endless list of disgusting stuff. But that’s barely the half of it. Distilled, white vinegar actually creates an environment that is absolutely hostile to bacteria such as Salmonella and E. coli. A combination of hot water and vinegar will be just what the doctor ordered for cleaning plates, glass and other utensils. Just use it in the dishwasher, and it will also clean the washer itself while working on the utensils. Flushing your drains with vinegar will also help break down any stuck grime and deposits stuck in there. Use vinegar to clean any surface that you want disinfected without all the harsh chemicals and toxic ingredients. Ah yes, good old toothpaste. We use this stuff to clean our teeth, so it should come as no surprise that it can clean other things too. Combined with some detergent and a mild abrasive, regular old toothpaste quickly turns into one heck of a potential stain fighter. However, you have to be careful about the kind of toothpaste you use and what surface you clean. It’s a well-known fact that toothpaste excels at cleaning tarnished silverware and bringing back the shine. However, you’ll want to steer clear of pastes designed for whitening or tartar control since they contain chemicals that can damage silver. Similarly, you can use toothpaste on a brush to clean out your acrylic accessories. For other sensitive surfaces, use toothpaste on a soft cloth to clean piano keys, steam iron, scuffed linoleum and for buffing chrome fixtures. You may know your way around a well-salted piece of steak, but there’s way much more to salt than meets the eye, er, I mean tongue. This globally preferred seasoning can do so much more than just give your food some flavor. Thanks to its small size and granular structure, ordinary table salt makes for the perfect scouring product. You can also use sea salt or kosher salts, but you’ll find that table salt is the most affordable and sustainable option. Whichever option you choose, salt is pretty versatile. It works great at cleaning greasy pots and pans, glass, stained coffee mugs, wooden counters and other surfaces. Whether you use toxic commercial cleaners or my all-natural, essential oil cleaning remedies, there are a few tips that every homeowner should at least know. I’ll try to include as many of these tips and tricks that will help you become a better, cleaner homeowner and save money on your cleaning too. Enjoy! Use an iron to remove extremely stubborn stains on the carpet – the heat helps break down the stain and dirt. Invest in a light sanitizing cutting board system to ensure your meat and vegetables are always free from contact bacteria. To completely kill off all germs and viruses gathered on your nasty sponges and dishwashing towel cloths, microwave them for about two minutes and let them cool off. Dust first, then vacuum later if you don’t want to be counterproductive. Clean your light bulbs with a soft cloth once in a while; those things can get real dusty. Hang all your mops and brooms instead of tossing them in the closet; it keeps them from getting bent and mildewed. Clean out your old paintings with a half sliced bagel; it really works. Use aluminium foil in your grill or panini make to prevent making messes. Lemonade Kool-Aid can actually help remove iron stains. Use a cotton ball dipped in vinegar to remove bad odors from your shoes. When shopping for essential oils for cleaning, make sure you get the pure, undiluted essential oils without additives for the best value. There you have it; all the info, tips and trick you need to make your DIY home cleaning experience a success. We’re in the 21st century, and the planet isn’t getting any healthier. It’s up to you to ditch those toxic, harmful commercial cleaners and go for something more natural, safe, affordable and good for the environment. Try your own cleaning recipes today and don’t forget to tell me how it goes. These are perfect – simple & affordable! Does any combination actually disinfect or do they only inhibit the growth of bacteria? I ask because I have one particular area to disinfect. Thanks. The essential oils and recipes are excellent for cleaning, disinfecting and sanitizing. Any other questions, please don’t hesitate. My pleasure. Do let me know if you have any queries.